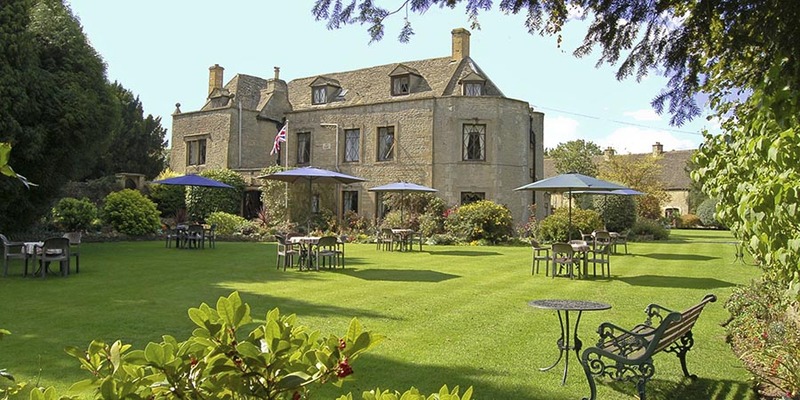 Hotels in the Cotswolds - Welcome to Stow Lodge Hotel - The Bar. The Hotel Bar is open daily to Residents or Non-Residents, for Bar Lunch, Sunday Lunch and Evening Bar Snacks. There is a wide selection of drinks on offer, including Carslsberg Export and Tetley Smoothflow on draught. Bottle conditioned Beer's such as our local Old Hooky, Doombar, Old Speckled Hen and London Pride. These are just a few of the drinks on offer. Alternatively you could sample one of our Premium House Wines, or be enticed by our interesting Wine List. Should you not see one of your favourite tipples, please let us know. If you do come rugularly, we may be able to add it to our list. The hotel offers a wide selection of dishes on the Bar Lunch Menu. Those requiring something lighter can enjoy a bowl of delicious Home-made Soup or for those requiring something more substantial a juicy Steak or traditional Fish in crunchy Batter and Chips. These are just a few of the many dishes on offer to wet your appetite. Please view the sample Bar Lunch Menu to see the type of dishes that are on offer, but please remember the Specials do change each day, and these are given as a guide only. We do not take Booking's in the Bar for Bar Lunches. In the event that all tables are taken in the Bar when you arrive, you can take a drink into the comfortable Resident's Lounge. We will then call you through, when a table becomes available. During the warmer months, Bar Lunches may be ordered at the Bar and served in the picturesque gardens. 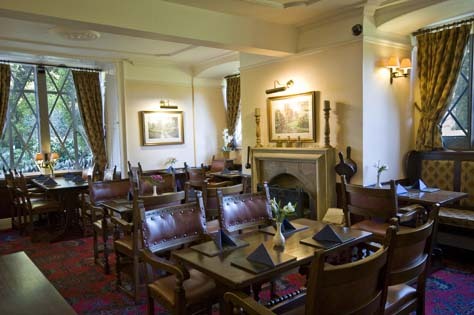 The Traditional Sunday Lunch Menu is offered in the Bar and the Restaurant and offers a varied selection of Dishes, including Roast Beef, Roast Lamb and Roast Pork. Reservations are taken for Sunday Lunch in the Restaurant from 12.00pm to 1.15pm only. If you prefer to order after 1.15pm, last orders are taken up to 2.00pm in the Bar only. Tables in the Bar cannot be pre-booked. For those who prefer not to eat in the Restaurant or require something lighter, we offer a varied Evening Bar Snack Menu. Please view the Bar Snack Menu. We also offer a selection of nightly Special's. Tables may be pre-booked, for Evening Bar Snacks at Reception. Although you may take Drinks into the Garden's , we do not serve food in the Gardens during the Evening. (Residents may order drinks from the Reception outside these hours). (During quiet periods, last orders are taken at 8.00pm). (Prices and Vintages shown, are given as a guide only.